We’re always looking for a bargain, or a hidden treasure we can buy for cents and turns out to be worth thousands of dollars. How many times have you head owners explain on Antiques Roadshow how they picked up an item at a garage sale for just a few bucks, and its now appraised at thousands. If we could be so lucky! To make that luck you’re going to have to visit lots of garage sales to uncover something precious others have overlooked. So where can you find out about garage sales? Most local newspapers have a dedicated column in the classified ads section just for garage sales. Small town newspapers are kept going by the small ads, and this is just the place to look for upcoming sales. Big cities will likely have a Craigslist, but even so, not everyone is computer literate, and some people just like the tradition of popping an add in the local gazette. 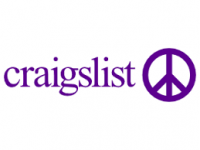 Sellers can advertise yard sales on Craigslist for free, and attach pictures of the items they are selling, which is great for potential buyers. Most large cities have listings on Craigslist, and buyers can search by location and items being sold. The bigger the city, the more sales are likely to be listed, so you can narrow your search to specific neighborhoods, or merchandize on sale. If you do not want to travel farther afield than just keep your eyes peeled for yard sale signs. Most people who put on a garage sale want as many potential customers as possible, so they will often put out signs a few days ahead of the sale and on the sale day. If it’s not in the local paper, or on Craigslist, the chances are it will have fewer customers, which is a good thing for the bargain hunter. With fewer people viewing, it is your chance to strike the best bargain you can with the seller. There are a number of yard sale groups on Facebook. These groups hold virtual garage sales where items are bought and sold on the group’s page. The groups also list physical yard sales and have calendared upcoming garage sales. The Facebook search facility allows you to see if there is a yard sale group close to you. If you enter your city, county, or neighborhood, and yard sale or garage sale in the search window it should come up with some results. Bigger cities have more than one group. If you are looking for an online search facility that is specifically designed for garage sales then this is the place to look. Garagesalestracker.com lists yard sales all over the country on its database and is available on the web or an app for Apple iOS. The website and app are really useful as the search options make it easy to narrow down where you want to find a garage sale and the sort of merchandize up for sale. The site offers an email subscription to get daily notifications of garage sales in the area you are interested in. The garage sale listings include details of when and where the sale is taking place, what is on offer, and a map with directions how to get there. Think of this free app for Android and iOS as the marriage between listings on Craigslist for garage sales with Google Maps. The free app provides a map of any given area and highlights the garage sales listings. Tap on the marker for a garage sale and it will take you to the details on Craigslist. There is a subscription version of the app that has extra features. These allow the user to advanced search options, such as looking for garage sales on a particular day, within a specific geographic location, or that have particular pieces of merchandize available. The app allows you to plan a route to visit a number of yard sales that are open at a particular time. This is another of the yard sale search engines and is similar to Garage Sales Tracker. However, the people putting on a garage sale have to post their sale onto the site before it is registered with the search engine. The website allows users to browse for sales using a map rather than having to select a location first. The details include the address, the time the sale is taking place, and what merchandize is on offer. You can also search geographically, and for sales scheduled up to a month in advance. Much like the other yard sale finders, GSalr provides the details of thousands of garage sales going on across the country every week. However, the way GSalr displays the information is somewhat unique. The garage sales are viewed on a map, and by clicking on a particular location, the details of the address, the time and date of the sale, and the type of merchandize on offer pops up. Clicking on the pop-up reveals more details, including an image gallery of the goods on offer. You can switch from the map view to viewing the pictures of the goods on offer as a list or a gallery. The gallery can be a useful way to look at the items you are interested in and if they’re what you are looking for. If you want to make the most of buying from yard sales, then getting a little useful advice beforehand is a good thing. Yardsalequeen.com offers a host of useful tips on how to pick up a bargain. How to find the garage sale just for you and the best ways to haggle down the price. It also has tips on how to run a successful yard sale, and draw the biggest crowd. The forum message board also has lots of useful information and details of garage sales across the country.